Rent villas in Fondo Morte, Sicily. Holiday apartment just 200 m from the sea, located in the famous seaside resort of Marzamemi, an old fishing village. You can eat outside in the large veranda with barbecue. 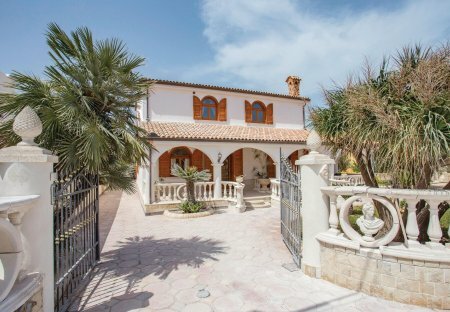 Elegant holiday terraced house in Noto, just 200 meters from the beautiful sea of Sicily. Holiday home 3 km from Pachino. The proximity to the beach (200 m) makes it the ideal destination for a relaxing beach holiday. Holiday apartment in Sicily, 3 km away from Pachino. 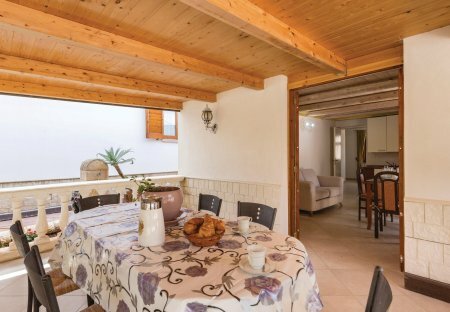 The accommodation is on the ground floor of a villa with garden and veranda equipped with barbecue, tables and chairs for outdoor dining.